This is the story of three best friends: one who was murdered, one who went to prison, and one who's been searching for the truth all these years . . . But fourteen years later, Angela Wong's remains are discovered in the woods near Geo's childhood home. And Kaiser—now a detective with Seattle PD—finally learns the truth: Angela was a victim of Calvin James. The same Calvin James who murdered at least three other women. To the authorities, Calvin is a serial killer. But to Geo, he's something else entirely. Back in high school, Calvin was Geo's first love. Turbulent and often volatile, their relationship bordered on obsession from the moment they met right up until the night Angela was killed. For fourteen years, Geo knew what happened to Angela and told no one. For fourteen years, she carried the secret of Angela's death until Geo was arrested and sent to prison. How far will someone go to bury her secrets and hide her grief? How long can you get away with a lie? How long can you live with it? 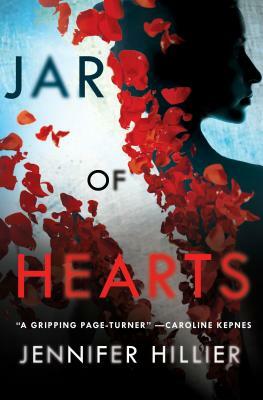 Find out in Jennifer Hillier's Jar of Hearts. JENNIFER HILLIER was born and raised in Toronto, Canada, lived in the Seattle area for years, and has just moved back to Toronto with her husband and son. Jennifer is the author of Wonderland, Creep, and Jar of Hearts.